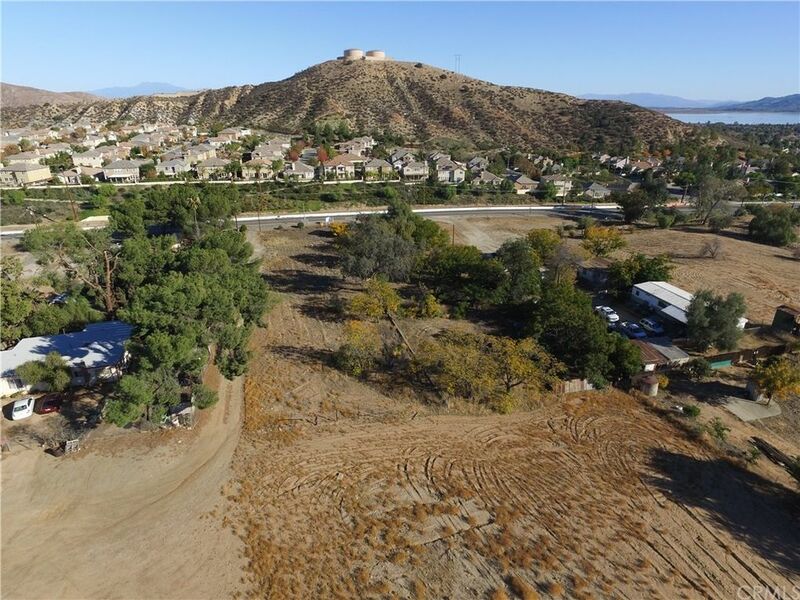 ONE ACRE C-2 zoned lot on Lake Street, in Lake Elsinore, the fastest growing City in Southern California. This attractive commercial lot is flat, 100 foot frontage, 380 feet deep. Water connected. 38, 333 sq. ft. Located in the much desired Alberhill General plan area. Only 2.43% of 4200 acres zoned general commercial properties make this prime land. Lake Street is one of few major artery into Lake Elsinore. The first offramp coming from Corona, Riverside, Orange County, San Bernardino and Los Angeles into the Northwest end of the lake. Last traffic count in 2005 was 13, 500. Property is located 600` from the signaled Lake Street & Mountain Avenue Intersection. Minutes from recreational areas and Southern California`s largest fresh water lake. Lake Elsinore is known for extreme sports on & off lake. Home of the Storms baseball team, Skylark Field Airport, Motorsports Park. Casino and Historic downtown Main Street. Across Lake Street is the residential Alberhill Ranch community. A unique master planned neighborhood surrounded by parks, recreational amenities & excellent top rated schools, which consists of 965 spacious single family homes, with three neighborhoods. Adjacent C-2 Lot #7, also available for larger projects. Cars & service vehicles pass by for recreation, shopping, services and housing. Large diversity. Commercial is currently in higher demand, due to population growth & new housing tracts completed & in progress. Investor build or portfolio hold opportunity!